Could an exhibition change the course of contemporary art? Probably not, but if there were one that could do so, it would be the widely acclaimed Bronze Exhibition currently showing at Royal Academy. It was a brilliant concept bringing together works linked by the material with which they were made rather than by geography or era or subject matter. The thing that strikes you as you go round is that many of them are just so amazingly old – 3000 BCE or thereabouts, that is 5,000 years ago, a thousand years before the point that the Bronze Age officially started in Britain. There were plenty that were 2,000 years old. There is an obvious moral: if you want your work to last and so ensure yourself a little bit of immortality you need to work in something durable. Bronze will survive being immersed in peat bogs, or indeed being under the sea. That is not true of clever things made out of plastic or stuffed tights, or of performance art, or the photographs of performance art not even of paintings and certainly not true of vitrined sharks. At a time when contemporary art is getting something of a drubbing from art critics, could it be that we see more artists moving back into creating art works from this extraordinary material that not only has the strength to allow a statue to stand on one leg but provides what appears to be an infinite variety of finishes? If it happens, it will not be that artists up and down the land, inspired perhaps by the RA’s informative videos on how it is done, will wake up one morning and say “you know what, I think I am going to turn out a bronze today” though I suppose a few may be inspired to so. I certainly wanted to. It is rather that collectors who have seen the exhibition might start hankering after something with durability that can be guaranteed to outlast them. It is interesting that Damien Hirst recently produced a bronze clad sculpture, albeit one that is 20 metres high which has produced some controversy in Ilfracombe where she is stationed for the next twenty years. But thinking that artists in the past would have been unconcerned about money is clearly a fallacy. Artists have to live; materials are expensive; studio rentals astronomic and an artists who are not making income from their art will find themselves too tied to the day job to produce much. Nearly all the works in the Bronze exhibition would have been commissioned by somebody. 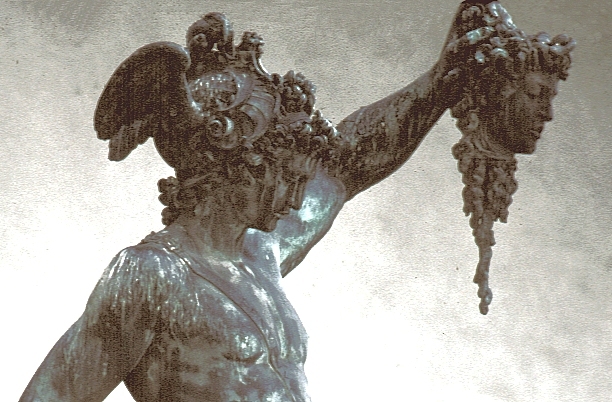 The wonderful Cellini sculpture of Perseus holding the head of Medusa aloft was first commissioned by Cosimo I dei Medici, after he had just been named grand duke. The one in the exhibition is full scale 19thcentury cast taken from the original in the Loggia dei Lanzi and made for the garden of a country house now demolished. So this particular sculpture was the subject of double commissioning. Other pieces would have been commissioned by priests, by warriors or simply by the rich. On a far more modest scale I was impressed by a delightful bronze strigil, a grooming tool used by athletes to scrape off oil and dirt after exercise, dated to 300BEC, its handle is of a young woman who herself is holding a strigil. Perhaps like mirrors of mirrors, the sequence went on and though too small to see it the tiny strigil in her hand also had a handle of a woman. This piece was not made by the artist simply for the fun of doing so, though he may well have gained satisfaction from the task – it would have been made because somebody wanted one and was rich enough to pay for it. Though made originally for rich patrons I was struck by the freshness of the pieces that had been chosen. Many seemed somehow to have a modern feel despite their antiquity. Take the Chimera a wonderful mythical beast, part serpent, part goat part snake as and surreal as anything produced by Salvador Dali. It was almost as if you could feel the excitement and trepidation of those artists two thousand years ago as they cracked open the cast to see whether the sculpture within had come out as they had hoped. I rather regretted the fact that whereas in times past the artists were likely to have been closely involved with the casting process today it will be a matter of commissioning a specialist foundry. At first I felt hat modern artists might as well give up, that everything that could be created in bronze had been made. But among the pieces of great antiquity there were some modern pieces that stood up well to the older competition. There was a beautifully patina’d bronze by Barbara Hepworth, a distinctive spider by Louise Bourgeois but it was the huge lacquered bronze made by Anish Kapoor this year that has me most impressed by its perfection and the way that it reflected the surroundings of the Royal Academy upside down. It sounds gimmicky and I wouldn’t be totally surprised to find that Kapoor was one of the celebrity artists on the Hickey/ Gompertz hit list. He has been pilloried for his Olympics tower. In fact the work was simple, engrossing – and beautiful. It made you ponder also on the way the brain works and the process of vision itself. I wondered whether if one looked at it long enough the brain would reverse the upside down effect as it does from the image created by the lens within the eye. 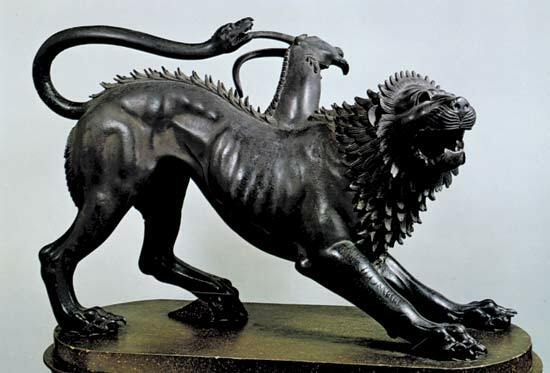 The work proved beyond doubt that bronze can be as contemporary as any more modern material, though that being said I had my doubts whether the lacquer would last 5,000 years. One bronze that could not be included in the exhibition was Dr Salter’s Dream. 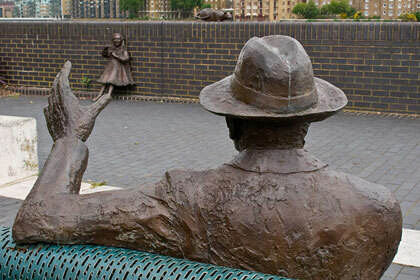 This had been a favourite of mine and used to be a surprise to anybody walking along the Thames in Bermondsey. It was created by Diane Gorvin to commemorate Dr Alfred Salter who worked tirelessly to improve the health of the poor in Bermondsey but who lost his eleven year old daughter to diphtheria. The statue of Dr Salter was seated on a bench which you could share with him and was looking at two other statues – one of his daughter and one of her cat, dreaming of happier times. Almost exactly a year ago Dr Salter was stolen presumably for scrap. It would have fetched the thieves no more than a few hundred pounds at most. I don’t know whether a cast remains of Dr Salter and whether the work could be recreated – if it could be I really would like to see him put back; sadly he would need to be resin; if he were cast again in bronze the same thing would happen again until the government finds some effective way of regulating the scrap metal industry. 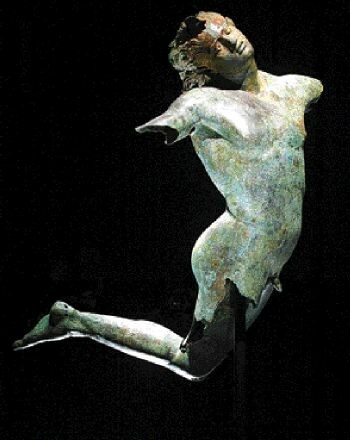 Bronzes can last 5,000 years and withstand flood and burial but they cannot survive being melted down.